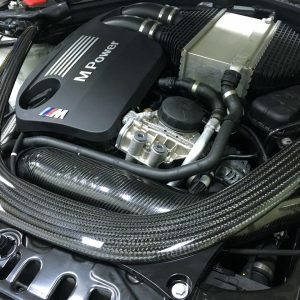 CSF’s newly designed high-performance, race-spec oil cooler will keep oil temperatures stable, even in the most demanding endurance racing conditions and extreme ambient temperatures. 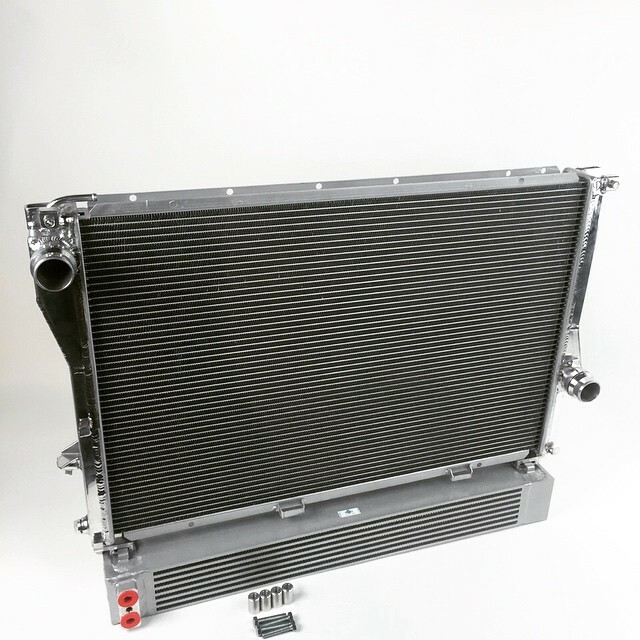 This new CSF E39 M5 oil cooler has been lab tested in an ISO-certified, state-of-the-art cooling system testing facility that includes wind tunnel, vibration, thermal cycle, burst pressure, and salt spray corrosion testing for maximum performance and reliability. 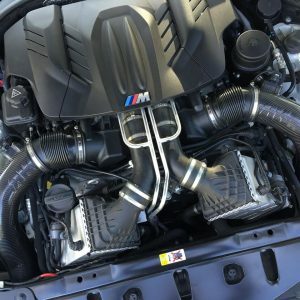 Because of CSF’s global economies of scale, the CSF Racing & High-Performance Division delivers a premium oil cooling solution with a level of quality, performance, and craftsmanship that is usually found in products with a much higher price point. Construction and Core: CSF has manufactured the world’s most durable and robust E39 M5 oil cooler by using an innovate design that features extruded aluminum end tanks rather than fabricated aluminum sheet metal, plus a bar-and-plate oil cooling core. The core uses an ultra-efficient, multi-louvered, high-density fin configuration between high-pressure oil cooling plates to achieve maximum heat transfer performance and oil cooling efficiency. 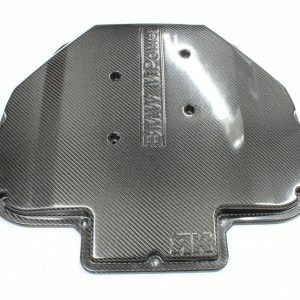 With this type of construction you never have to worry about road debris damaging the core or causing a leak in the oil cooler. 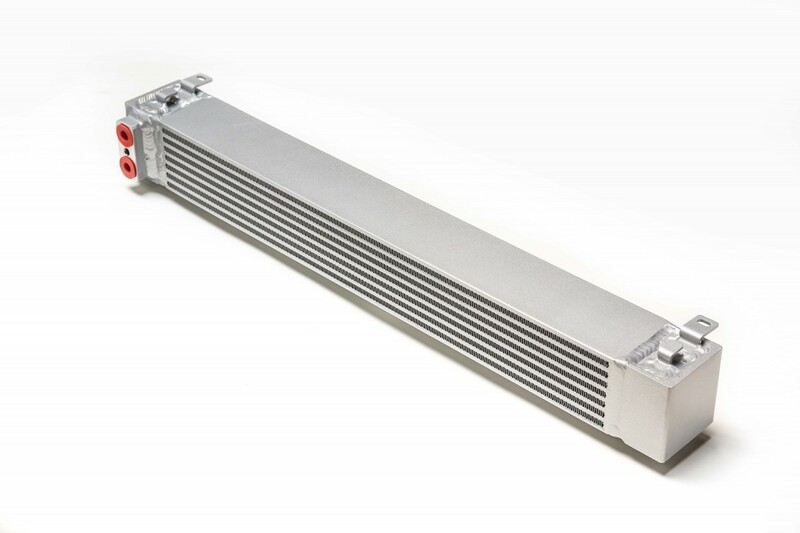 Two-Pass Design: CSF’s new E39 M5 oil cooler features an efficient top/bottom dual-pass design which is comparable in performance to a counter-flow design (front/back), without the much more costly manufacturing and purchase price. 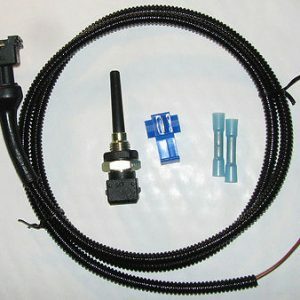 Thermostat: There is a direct-fit thermostat inline with the system to bypass the oil until the oil is up to temperature. Mounting: This production-manufactured high-performance oil cooler utilizes four mounting tabs which bolts onto your CSF/RK radiator. 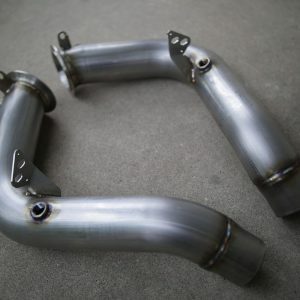 Plumbing: This is a direct-fit oil cooler for use with existing OEM lines using our custom fittings and -10AN lines.